Nestled in the heart of downtown Carmel-by-the-Sea, Carmel Plaza is home to one-of-a-kind fashion finds and specialty national brands, gourmet shops, wine tasting rooms and four, soon to be five, distinct restaurants ranging from casual American dining to French cuisine enjoyed by candlelight in the evening. Amongst Carmel Plaza’s restaurant selections are a few dishes considered by many to be local favorites. 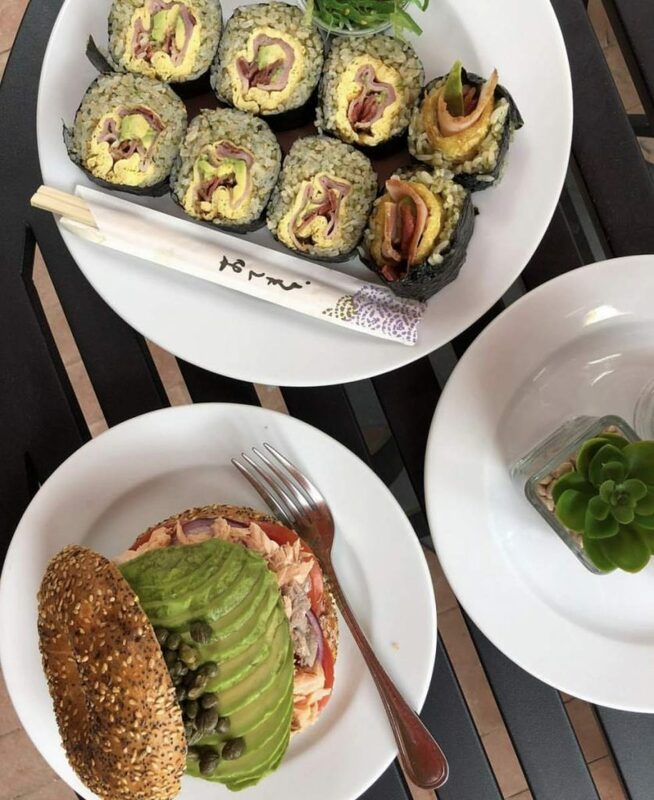 During your next visit to Carmel Plaza be sure to stop into one (or all) of our restaurant locations to enjoy the following popular dishes; whether it be breakfast, lunch, dinner or dessert we have what you’re craving. 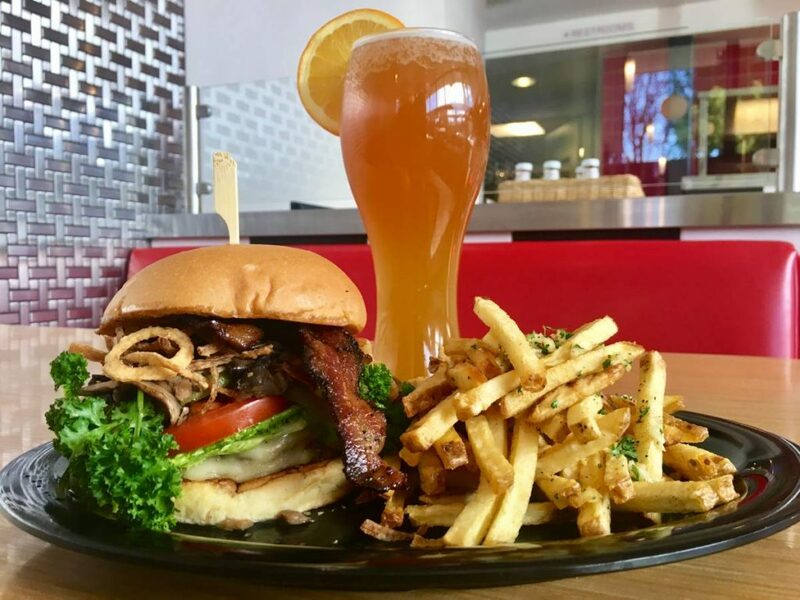 Sun – Thu: 11:30 a.m. – 8:30 p.m.
Fri & Sat: 11:30 a.m. – 9:00 p.m.
400° Gourmet Burgers & Fries features mouthwatering handcrafted burgers and fries using only the best ingredients and cooked to perfection on a custom cast iron griddle. The Wagyu Burger: Hand formed Wagyu patty, cheddar cheese, peppered bacon, griddled mushrooms, lettuce, tomato, pickles, crispy onions. 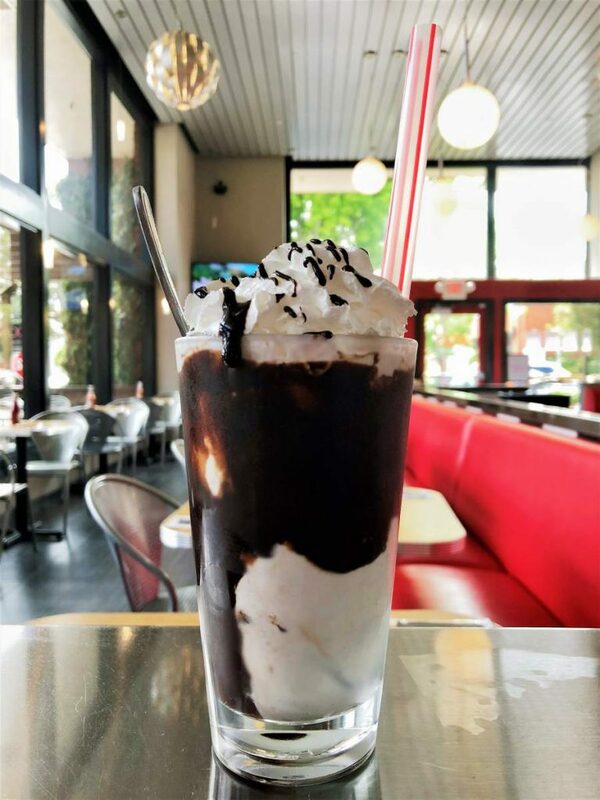 Black & White Milkshake: Vanilla Ice Cream & Chocolate Sauce. Mon – Sun: 7:00 a.m. – 6:00 p.m.
Salmon Bagel: Honey roasted smoked salmon on your choice of multi-seed, sesame, or plain bagel with cream cheese, tomato, red onions, capers and avocado. Breakfast Sushi (Signature Dish): A seasoned mix of brown and white rice, bacon, ham, egg and avocado wrapped in seaweed. Enter from the Carmel Plaza Mission Street entrance (between Ocean and 7th Ave.) and through the discreet door leading you to comfortably dim lighting, wood walls, and subtle Asian decor. Diners are delighted by their distinctive offerings, ranging from salmon to lobster to abalone! Not to mention our delicious traditional clay pot dishes, bursting with noodles, broth & your choice of seafood, beef or vegetables. 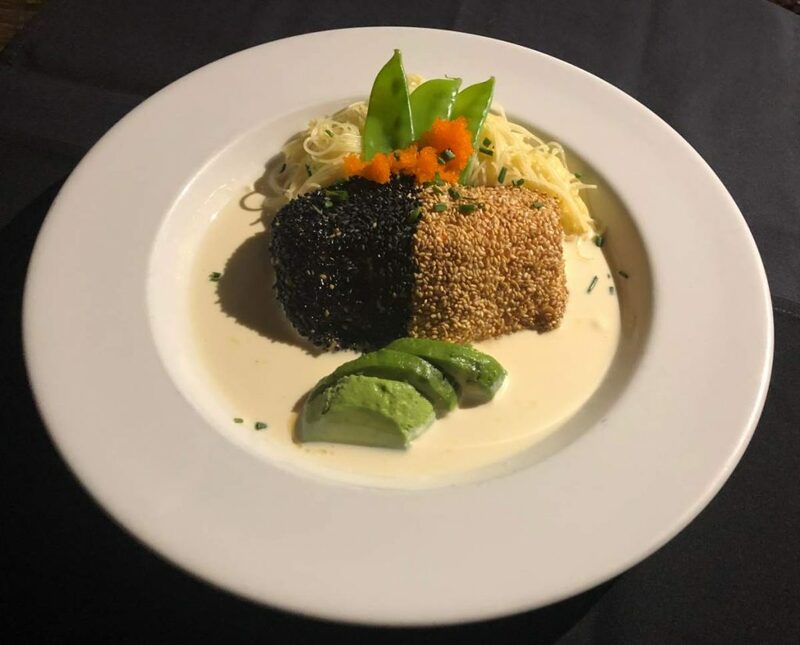 Yin Yan Salmon: Oven roasted, sesame seed crusted, soy- lime cream sauce, angel hair pasta, flying fish roe garnish. 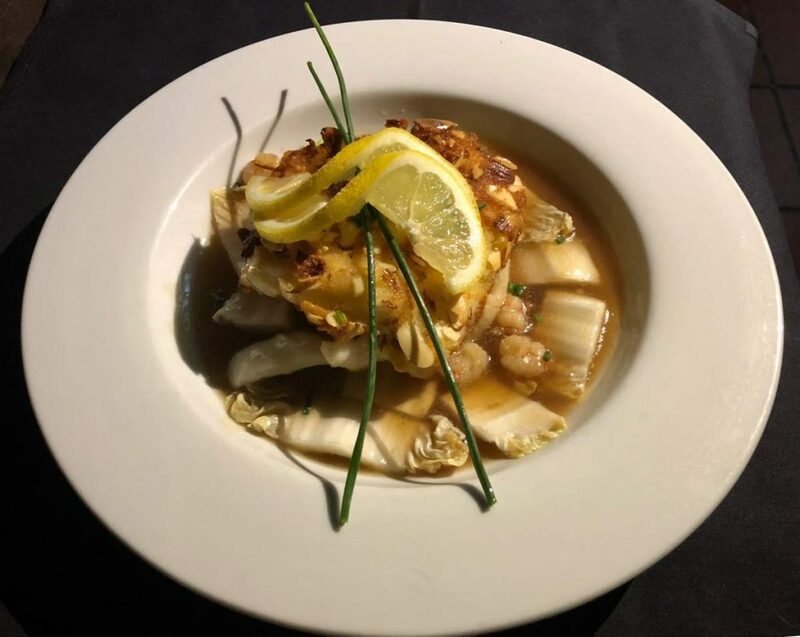 Almond Seabass: Almond crusted sea bass, pan- fried, whipped potatoes, chinese cabbage & rock shrimp stir – fry. Lunch: Daily 11:30 a.m. – 4:30 p.m.
Dinner: Wed – Sun 5:30 p.m. – 9:00 p.m.
Brunch: Sat – Sun 11:30 a.m. -4:30 p.m. They sought to offer the city of Carmel-by-the-Sea a relaxing and comforting venue modeled after a European chateau; where tables are thoughtfully spaced and fresh flowers, a fireplace, candles and soothing musical notes are an integral part of the dining experience. 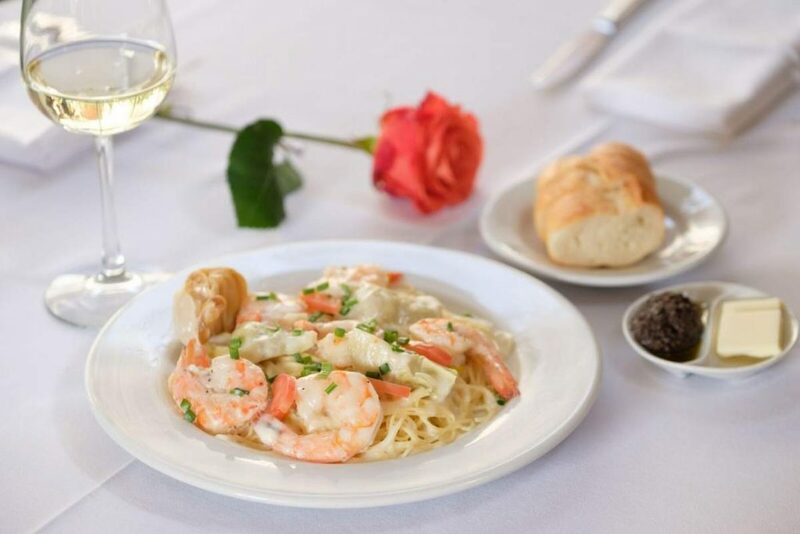 Sautéed Prawns (available for lunch and dinner): Served over angel hair pasta with fresh tomatoes, leeks, artichokes and a light lemon-chive seafood cream sauce. 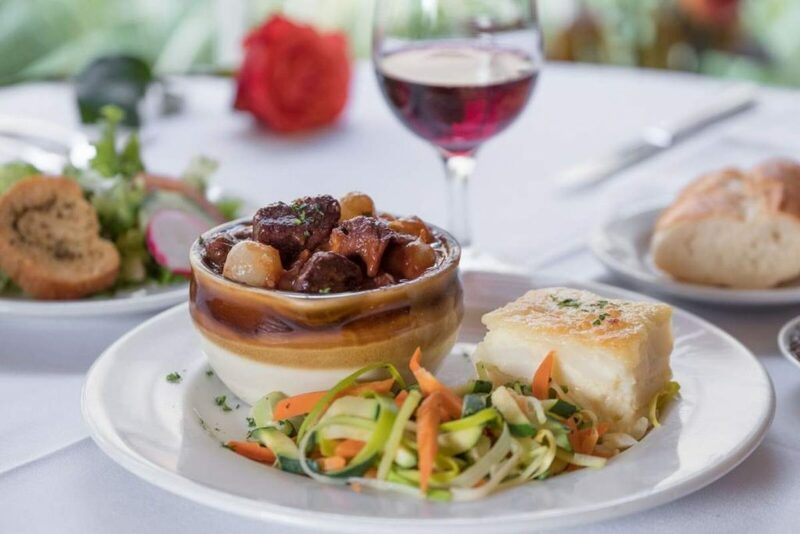 Beef Bourguignon (dinner only): Oven braised with pearl onions, fresh herbs, garlic, bacon, tomatoes and white wine; served with fresh steamed vegetables and au gratin potatoes. COMING SOON: Yeast of Eden, Carmel Plaza’s soon to be fifth dining selection. To read more about Alvarado Street Brewery’s latest venture coming soon to Carmel Plaza CLICK HERE! We hope to see you for breakfast, lunch and dinner very soon!